Simple stud partitions to stylish glass offices. As your business grows it will need more office space to accommodate the desks or operating areas of your workforce. There’s no need to move premises if you have unused space above existing areas. Installing a mezzanine office or multiple offices is possibly the most cost effective solution for your organisation. 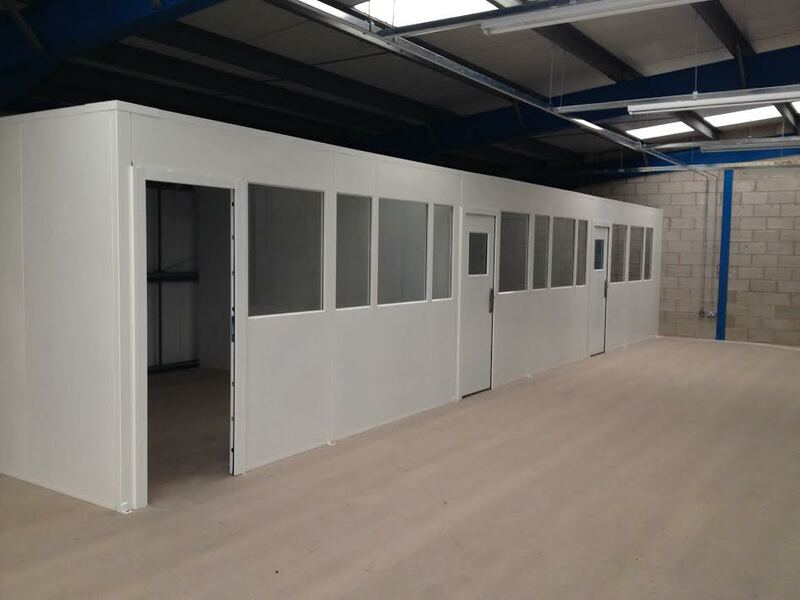 PDC are able to design and install many types of raised platform offices, from simple stud partitions to stylish glass sections there is a solution that reflects most budgets and design requirements. As well as style we are able to specify the perfect office solution that meets any environmental or building regulations. 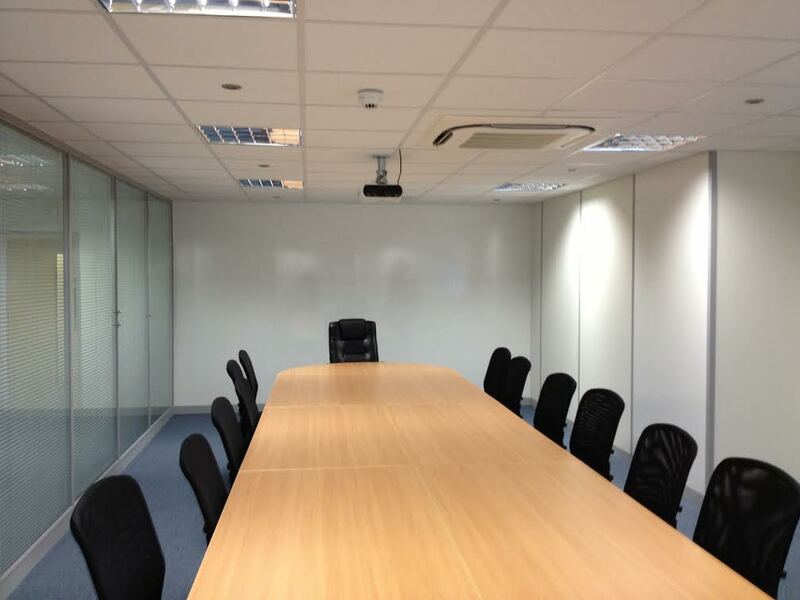 Fire protection, temperature control or sound proof offices can all be quoted if required. 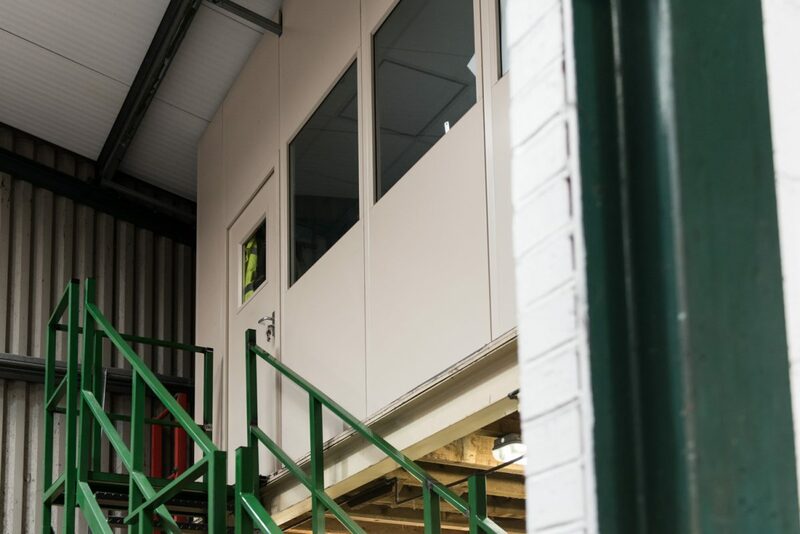 So whether you need your mezzanine office for a control room, a kitchen area, a staff room or simple office space there is a design solution to meet your needs. PDC can also supply everything from office furniture to lighting and suspended ceilings. 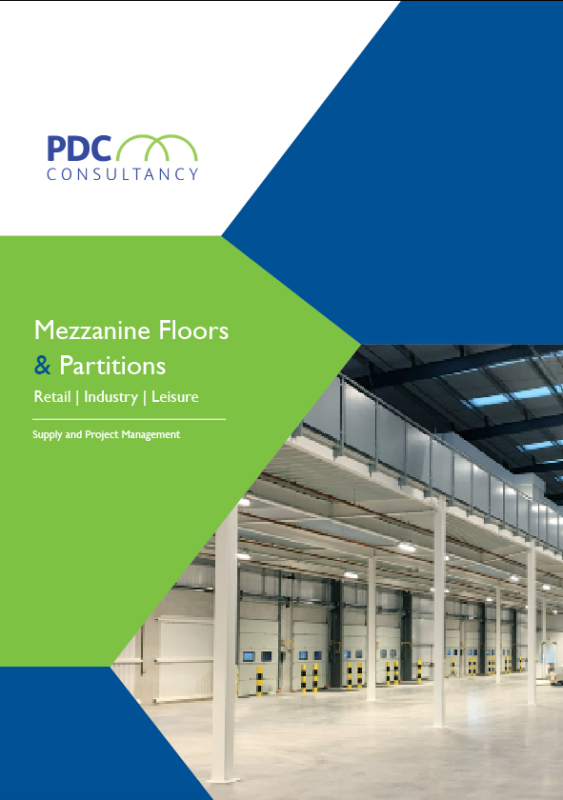 Our experienced team would be happy to offer you a free quotation so get in touch with one of our Mezzanine Project managers today. Simple system which incorporates a single layer of plasterboard screw fixed either side of a galvanised stud. Board joints can be either clamp and covered or tape and jointed, dependant on the customers preference. Available in a number of finishes and applications, coloured finishes can also be applied to this product.